Princeton is so hot right now, they’re allowing us to revive the #2BidIvy hashtag. Princeton remains a long-shot to win the Ivy League crown but, after last night’s convincing win against cross-state rival Rutgers, 78-73 at The RAC, the Tigers have compiled a strong case to claim the Championship of New Jersey. Mitch Henderson’s squad has reached #70 in the Pomeroy Ratings, a long way behind Harvard’s #28, but higher than any Tiger quintet has reached under the Pomeroy system. To find a key statistic to explain the Tigers 7-1 start, one need look no further than the 3-point shooting numbers. As a team Princeton is shooting 40% from behind the arc, led by TJ Bray at 52% and center Hans Brase with an eye-popping 13-29 (45%) mark. The Tigers have made 49 more 3’s than their opponents in 8 games, or an average of 18 points per game! TJ Bray had another huge game against Rutgers, after a one-game suspension, with 23 points including 5-7 from downtown. Three other Tigers, Denton Koon, the increasingly reliable Ben Hazel, and sophomore Hans Brase, each contributed 14 points in the Tigers’ balanced attack. 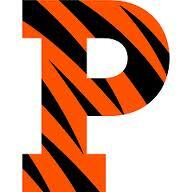 As a team Princeton canned 16 threes, their most against a D-I opponent in more than a decade. The Scarlet Knights shot the ball very well (29-58), but were frustrated by the Tigers’ ball-control offense and ability to hold their own on the glass against the Rutgers’ bigs. Myles Mack did the most damage for the Knights with his typical 21 points and flashy floor game. Correction: Hans Brase, and not Spencer Weisz, was one of the four Tigers in double figures. He had 14 and made 3-6 3’s. The author is missing more than his teeth.